Unreal Lawns supply and install artificial grass in Accrington and the north west of England. We serve domestic and commercial customers in the area, with products suitable for a wide range of applications from outdoor spaces and gardens, to event areas, exhibition space and more. See below for some examples of projects we've carried out in the Accrington area. Unreal Lawns were contacted by this home owner, who wanted to add some more colour to their rear garden in Accrington. 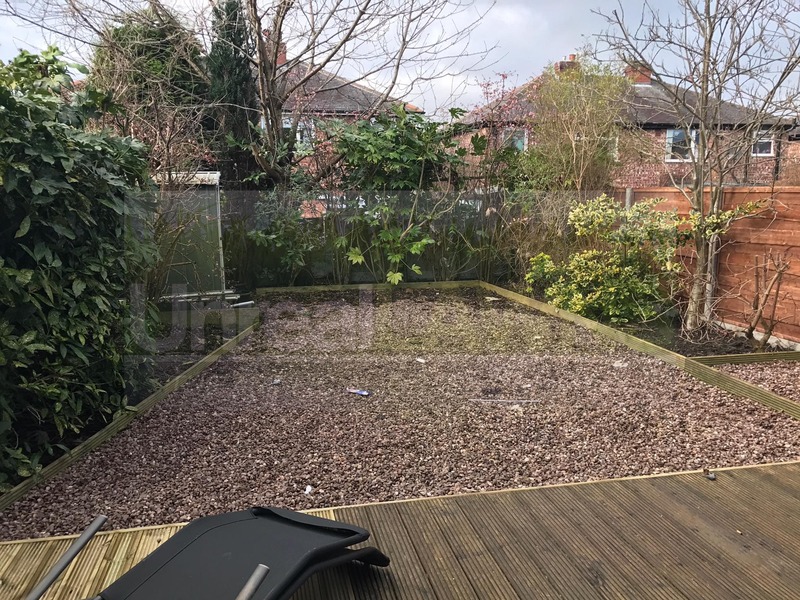 We installed our Supreme 40mm artificial grass to replace the gravelled area of the garden, creating a great contrast between the decking and the lawn. 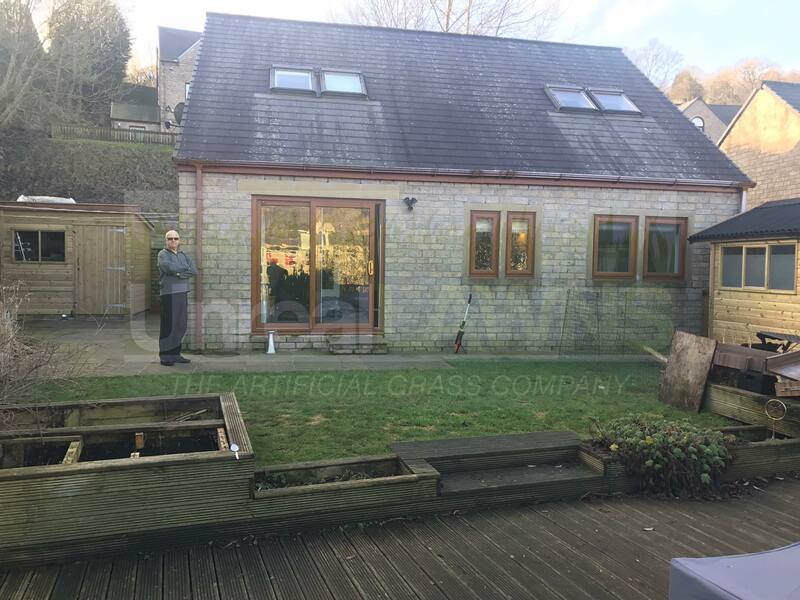 The customer was delighted with the finished result, and are pleased that their new lawn will provide colour to their garden all year round, without the need for maintenance. Unreal Lawns visited this rear garden in Accrington, where the customer had just moved in to the house and required a no maintenance lawn. Using our popular Luxury 35mm artificial grass we replaced the old and tired-looking grass lawn, and removed the flower beds. The result is a much bigger looking and neater garden. The customer was over the moon with the finished garden, and was happy that the new lawn requires no maintenance.